Fashion designing is marked as one of the most versatile and lucrative fields in the world. Fashion designing is marked as one of the most versatile and lucrative fields in the world. It requires a certain level of aptitude combined with profound artistic skills which could be honed by our talented team. A fine understanding of the basics of art, fabrics, colours and the implementation of these for styling purposes can be attained by training under experienced professionals from the industry. Utilize the opportunity of being under such invaluable guidance at the Vinsan Academy and fulfil your dream of pursuing a prosperous career in the fashion designing arena. This intensive one-year course provides the key technical and theoretical concepts related to fashion design and the fashion industry, looking at womenswear, menswear design, as well as an introduction to the study of materials and fabrics, and research applied to the individual design process. From freehand drawing techniques and the basics of garment construction, participants quickly progress onto more technical aspects of fashion design such as fabric analysis, garment structure, and eventually learn how to establish their own label/brand. This subject throws light on the origin and periodic evolution of Fashion. It would sensitize the students with the various elements of design and enlighten them about the ever-changing trends in the world of fashion reflective of a certain behaviour, mindset, culture or circumstance. Thereby, creating a solid foundation in the aspirants and enabling them to understand as well as analyse the changing significance of what we wore from the earlier centuries to the present day. Fashion Art is a form of visual art that is created primarily for better understanding of design. 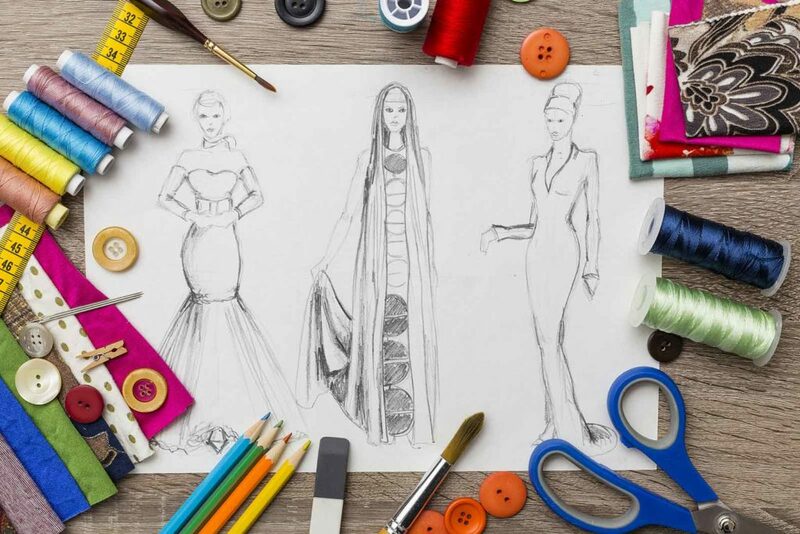 Explaining of fashion on paper with a wider scope and imagination, through illustrations, is an art which would be taught and at the same time sharpened at the academy by seasoned faculty. The knowledge gained would help the students at the time of portfolio building and presentation of their designs to the clients. Students will be familiarised with the art of shaping and maneuvering a flat piece of fabric, with effective tools as well as broaden their competency by educating them with the basics of drafting and its variations. This art forms as a bridge function between design and production. Pattern making is counted as one of the most fundamental skill to the work of a designer in the fashion industry. 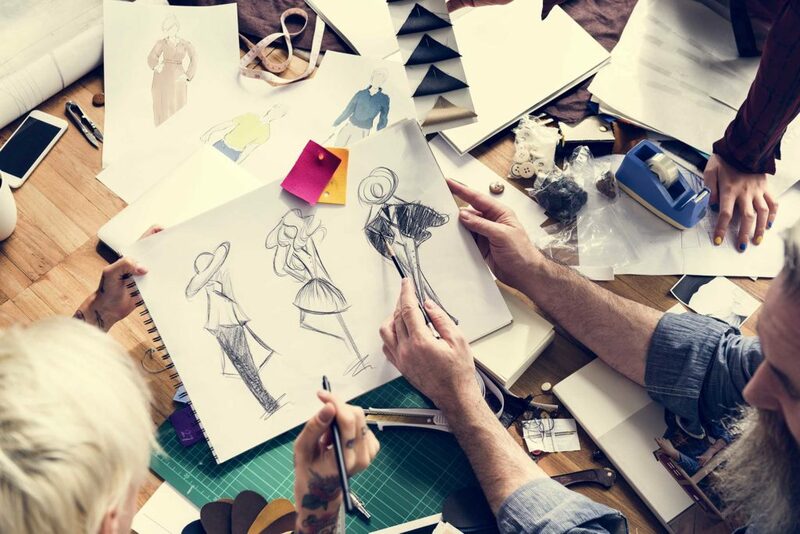 Being one of the elementary requirements of fashion design, garment construction involves the transformation of an acquired raw material into a stitched and wearable piece of clothing. The subject will give the students an opportunity of learning how to sew different garment components along with apprising them about the functioning of the sewing machine. Students will gain a strong knowledge of the industry standards and would ultimately obtain a practical experience on the foundations of garment structuring. This oldest creative approach involves draping of a two-dimensional fabric around a form, adjusting to its shape, thereby resulting in the creation of a three-dimensional structure of a garment design. This course will render aspirants capable of processing different types of fabric, by providing them proper form and harmony. All the subjects covered under this course, would prove to be essential in the establishment of a person as fashion entrepreneur. Creating and starting a fashion label of one’s own could be a stressful but rewarding endeavour. At the academy, your dream would be made more attainable under the guidance of professionals. The academy gives the students a chance to learn the intricate details of the topics of their liking, in a specialization course spanning over a period of 2 months. Illustrations have played a pivotal role in the evolution of fashion designing, as it is referred to as the blueprint to a clothing outline. Explaining of fashion on paper with a wider scope and imagination, through illustrations is an art which would be taught and at the same time sharpened at the academy by the seasoned faculty. This art of positioning the cloth to provide a distinctive look to the garment, is an integral part of fashion design. This course will enable the students gain expertise in the ongoing trends in the world. In this series, the instructor will coach students on the dress forms, creating a set of basic garment and learn how to transfer the drape to a flat pattern. In this specialization course of pattern making, the students will get an opportunity to learn this skillful art, that covers sewing and the designing of garments. A basic outline of the pattern sizes, lengthening of the pattern as per the fit and topics like these, would be taught which symbolize the flawless alignment of the pattern and fabric, thereby helping the students gain proficiency in the competitive field of Fashion Designing. This would enable students to get a holistic exposure and hands on experience in the field of fashion designing. Industry exposure, will help trigger the mind of the aspirants and drive them a step closer to being a part of the fashion industry. The students will get an opportunity of gaining practical experience, in addition to their existing course content, which would help them gain modern knowledge and skills, required to be successful in the real-time scenario.